Even before the interferon response takes place, restriction factors are the host gate keepers that protect the cell from viral infection. In response, HIV viruses, among others, have evolved various mechanisms to inactivate these host factors. The hijacking of ubiquitin ligases is probably one of the most efficient and powerful strategy used by viral auxiliary proteins. Indeed, it requires very low amounts of viral proteins and allows the targeting of several cellular factors by usurping one single ubiquitin ligase. With this in mind, we used the SILAC strategy and went fishing for cellular targets of HIV-1 Vpr or HIV-2/SIV Vpx. Being honest, our one “dream target” at that time was that of HIV-1 Vpr and the consequent G2 arrest it provoked… unfortunately it did not work as expected, even though we were able to identify HLTF, beautifully degraded by HIV-1 Vpr, it was G2 arrest-independent! Also at that time, my now PhD student, was a 6 month trainee and had had a thumb tendonitis preventing her from doing experiments. As an attempt to save her internship, I then proposed she looks again at our whole SILAC data so we could have the proteomic landscape in presence of these auxiliary proteins. Interestingly, right after SAMHD1, FAM208A was found down-regulated in the HIV-2/SIV Vpx screen. Uncharacterized at that time, FAM208A was however found in a siRNA screen for antiviral factors performed by McKnight’s group in 2011, we got very excited about that and this is how our story began. First, we confirmed the down-regulation in activated CD4+ T-cells and macrophages. We saw it was a DCAF-1 dependent degradation, following SAMHD1 model but still independent of SAMHD1 degradation. Then, the first siRNA experiments against HUSH in HeLa cells looked very promising with an increase of Luciferase expression from an HIV derived vector (LTR-CMV-GFP-LTR)! Confusing, isn’t it? Especially regarding the dogma that Vpx had no effect in dividing cells lacking SAMHD1 activity like HeLa cells! Indeed, the same HIV-derived viruses expressing GFP showed no variation of the percentage however, and by looking closer, we noticed a variation of the GFP mean, recapitulating an effect seen by Epp’s group in a mouse model mutant for D14Abb1e (FAM208A). More intriguing, although degradation was observed in infected cells, we were unable to see any effect on HIV-1 or 2 replication competent viruses, we were stuck! Later on, we realized Lehner’s group identified FAM208A as TASOR, a member of the Human Silencing HUB complex (HUSH), including MPP8 (which we also found in our screen) and periphilin. To make a long story short, Vpx had an effect in the context of latency and it did mimic HUSH depletion seen in Lehner’s paper especially in J-Lat model cells (loss of H3K9me3 marks and increase of GFP expression). Within the HUSH complex, TASOR seemed to be most important in our experiments while periphilin degradation was perhaps a secondary event. But with no antiviral effect on replication competent viruses in our settings can we identify HUSH as a restriction factor? We knew HUSH antagonism was absent in HIV-1 Vpr but what about other lineages? We tested Vpx from mandrill-1, red capped mangabeys and Vpr from African green monkey (AGM) and saw a different behavior toward human HUSH; this is where we started our collaboration with Lucie Etienne. She looked for site-specific positive selection and couldn’t find any for TASOR and MPP8 though she found other signs of diversification in the HUSH complex, potentially reminiscent of arms-races between host and viruses (or retroelements!). Moreover within the AGM lineage, we saw a species-specific behavior toward human HUSH! And, by combining our functional and phylogenetic analyses, we could trace this HUSH antagonism activity back to the divergent SIV from l’Hoest monkeys, indicating an ancient activity! Altogether our and other’s results suggest HUSH as a restriction factor, and they raise the question of HIV impact on retro-element expression as well as on related pathologies. How is it that HIV-2 is so weak in expression while harboring the powerful Vpx that counteracts SAMHD1 and now HUSH? Is it more of a burden for HIV-2? A lack of adaptation? Is this causing Immune-activation? How is HIV-1 escaping such an ancestral repression? 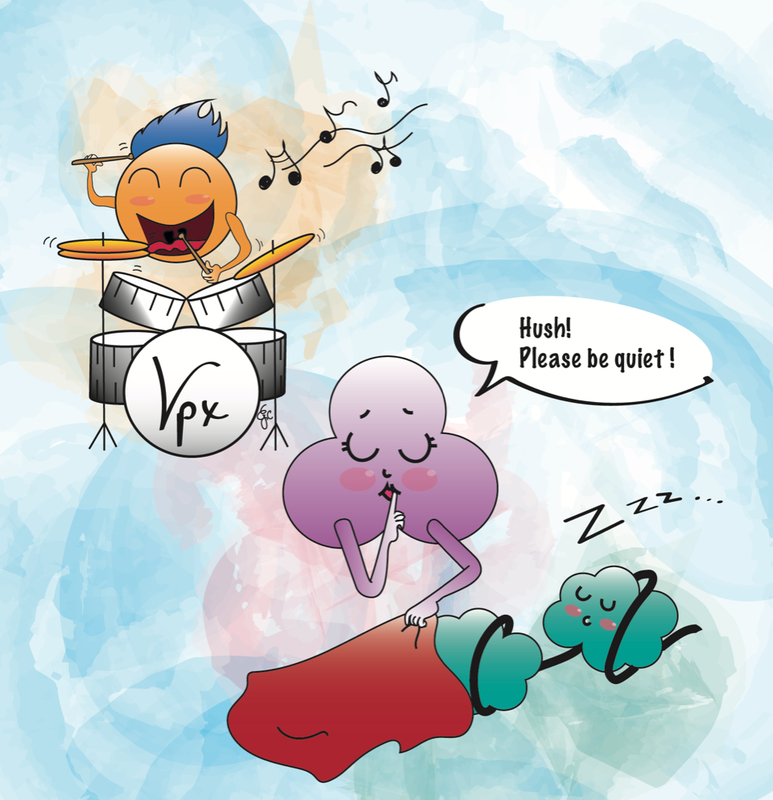 How HUSH shaped retrovirus evolution and vice-versa? The story is just beginning. Giant pandoraviruses create their own genes.